Indulge in total relaxation at Catalina Sea Spa; the quintessential Catalina Island spa experience. Currently voted the #1 Spa on both TripAdvisor and Yelp, Catalina Sea Spa soothes and re-energizes body, mind and soul with a blend of innovative, personalized based treatments aimed to leave you feeling refreshed and rejuvenated. 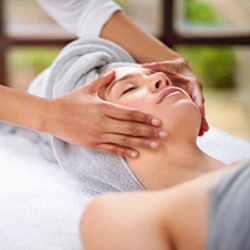 Our qualified therapists are renowned for our attention to detail and attentive care. We take tremendous pride in providing our customers with a premium and unique spa experience, offering impeccable customer service and massage services tailored to your needs and preferences. All of our rooms are equipped with air conditioning, the highest quality spa linens and are tastefully decorated to provide you with ultimate comfort. Whether you are looking for a rejuvenating facial or a couples massage, our packages offer something for everyone. Enjoy a luxury massage at an affordable price! These exclusive, irresistible deals are too good to miss. Looking to try something new? Our world-class professionals are highly trained in a variety of different massage styles. Call us at (310) 510-8920 or book your appointment online to get special deals!